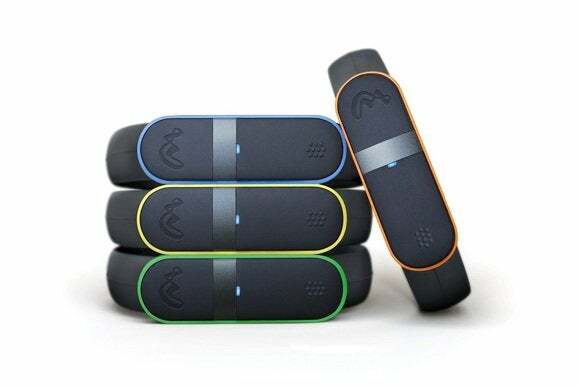 Movo is pushing fitness trackers ever closer to the bargain bin with its new $30 Movo Wave. The ultra-cheap step counter, which went up for pre-orders in August, will start shipping on December 15. You can order one straight from Movo's Website, though the company says it can't guarantee delivery by Christmas. Given the $30 price tag, don't expect the Movo Wave to do much or come with any bells and whistles. 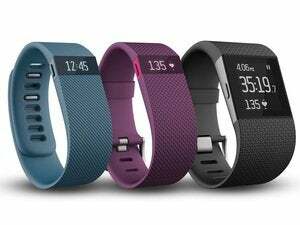 It measures steps taken, distance traveled and calories burned, but it doesn't track sleep. It's water-resistant, but not fully waterproof, and it syncs fitness data to smartphones via headphone jack instead of Bluetooth. The battery lasts for about two weeks on a charge. The Wave doesn't have a display or any LED lighting either, so you won't get any feedback or notifications while wearing it. Its only general nod in the direction of style is an “accessory loop” that wraps around the front of the band, with red and black loops included in the box. All of this is to be expected for $30, but the one limitation that really stands out (and shouldn't be price-dependent) is the reliance on Movo's own fitness app, to the exclusion of all others. There's no mention of any tie-ins to diet, weight loss apps, or connectivity with other services like Apple's HealthKit framework. Unless this changes, all your data is permanently stuck with Movo. Android users should also note that Movo's Android app won't launch until early next year. Why this matters: Once you factor in $5.75 for shipping, the Movo Wave is the cheapest fitness band you can get your hands on in the United States, edging out Xiaomi's $20 Mi Band (which costs another $19 to ship from China). It's a sign that the hardware itself is becoming a commodity, but $50 trackers from Misfit and Jawbone offer more features and connectivity to other services if you can spare an extra 20 bucks.